Shipping restriction: Due to exclusive distributor of Justfog, we do not send Justfog products to customers in Belgium、France、Netherlands、South Africa、South Korea. 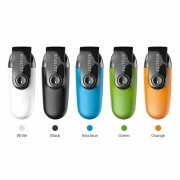 The Justfog compact 14 Kit is powered by a 1500mAh internal battery for up to two days of vaping. With the Q14 Atomizer, the in-line design is a good way to compress the volume of the product. 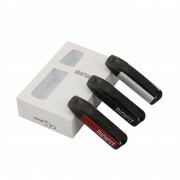 It has a 1.8ml capacity with 1.2ohm/1.6ohm coils for a comfortable MTL Vaping experience. The top battery indicator visually shows battery life. In addition, it is equipped with smart battery protection to provide a comfortable experience while ensuring a safe environment. ❤ Please read the user manual carefully before using this JUSTFOG Compact 14 Kit 1500mAh. ☞ 6 months warranty period for Justfog Compact 14 Vape Kit.